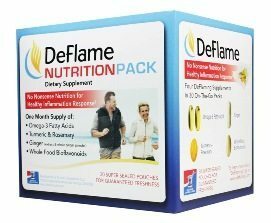 The DeFlame Nutrition Pack is a once-daily no-nonsense nutrition for inflammation reduction. Each pack contains a month’s supply of omega-3 fatty acids, turmeric, rosemary, ginger, and whole-food bioflavonoids. Learn more about DeFlame Nutrition Packs | Now available at our office! The USDA recommends 7 to 13 servings of fruits and vegetables every day. Juice Plus+ helps bridge the gap between what you know you should eat and what you actually eat. Even The Doctors, Dr. Jim Sears, discussed Juice Plus+ on the March 27, 2009 episode. The many healthful benefits of Juice Plus+ have been demonstrated through numerous independent clinical research studies, conducted in leading hospitals and universities around the world and published in peer-reviewed scientific journals. CLICK HERE to order Juice Plus+ online today! 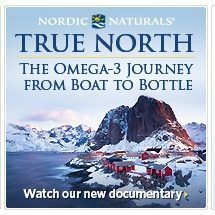 Why Omega-3s? Omega-3 fatty acids found in fish oils are essential for maintaining optimum mental and physical health. Omega-3 supports the body’s natural anti-inflammatory response, and can reduce joint pain and swelling. Fish oils are proven to be a healthy and effective choice with no adverse side effects.